Yesterday was my blog birthday. 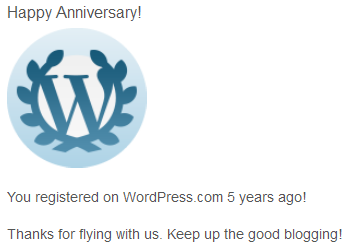 Five years of blogging. When I started, I never expected to last that long. It’s been hard but fun and fulfilling. I wouldn’t have done it without your help and encouragement. Thank you 🙂 I hope so.